My research program is studying the health problems of aging. The cornerstone of the research is two epidemiological population-based cohort studies. The Epidemiology of Hearing Loss Study, now in its 13th year, is funded by the National Institute on Aging (AG11099) to study hearing, olfaction, cognition, physical function and quality of life in 3500 older residents of Beaver Dam, WI. In 2004, a new cohort study was funded by the National Institute of Aging, National Eye Institute and National Institute of Deafness and Other Communication Disorders (AG021917) to study the adult offspring of these participants (ages 21-74 yrs in 2005). 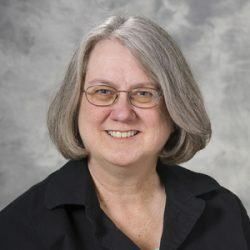 This new multi-generational study of the Beaver Dam families will help us understand the genetic and environmental factors which contribute to age-related sensory impairments and provide new epidemiologic data on the prevalence of sensory impairments (vision, hearing, smell, and taste), sensory disorders, and subclinical atherosclerosis in the post-war baby-boomer generation. A major theme of our research is the link between subclinical atherosclerosis and the sensory and neurological disorders of aging.